Turmeric is a wonderful spice with antiseptic and anti-inflammatory properties that helps in improving health in many ways. It is good for the body as well as the skin. Women have been using turmeric as a home remedy for improving the beauty and solving skin problems since the olden times. It can be used in multiple ways for skin problems. If you have a problem of wrinkles, you can use turmeric for fighting this problem. The spice makes the complexion bright and makes the skin wrinkle-free. For this, you need to use face masks made with turmeric. There are many types of face masks that heal wrinkles. We will suggest some effective turmeric face masks for a healthy skin. 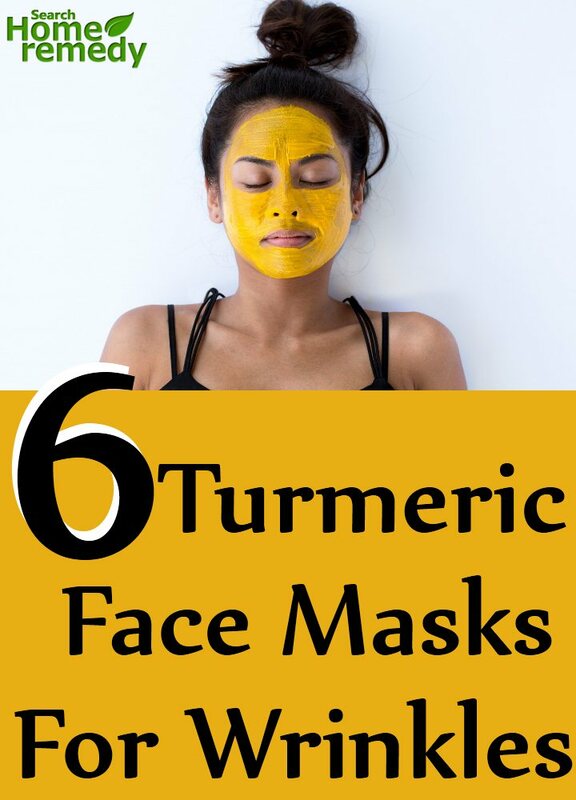 Following are the 6 turmeric face masks for wrinkles. 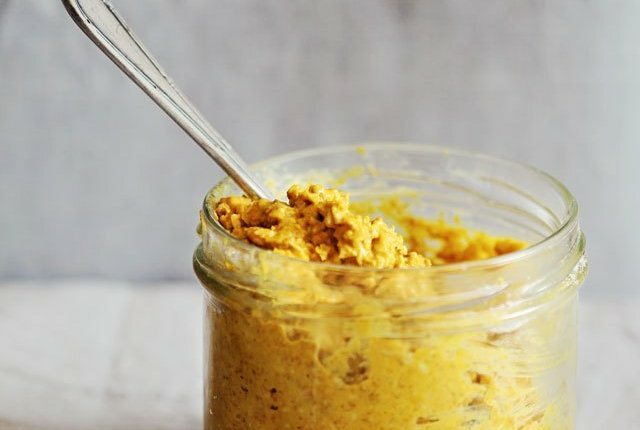 Mix turmeric with yogurt and honey. The amount of all the three ingredients should be one teaspoon. Apply the mask on the face. Wait for half an hour till the mask feels tight on the skin. After that, wash the face using lukewarm water. Scrub the skin while removing the mask. The mask helps in soothing the skin and making it wrinkle free. Mix turmeric powder with a double amount of rice flour and yogurt. Apply the mixture on the skin. Do not use it near the eyebrows and hair. Wait till the mask becomes dry. It will take ten minutes to dry. After that, remove the mask by washing the face with water. Honey heals the skin and yogurt help in moisturizing it. The mask is useful for wrinkles. 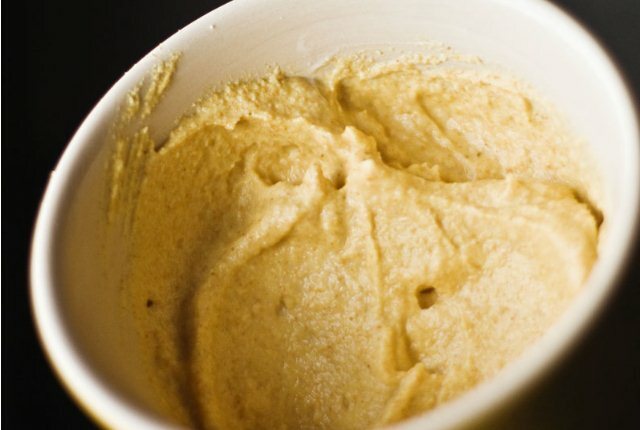 Turmeric mask made with chickpea flour and essential oil helps in healing wrinkles on the skin. 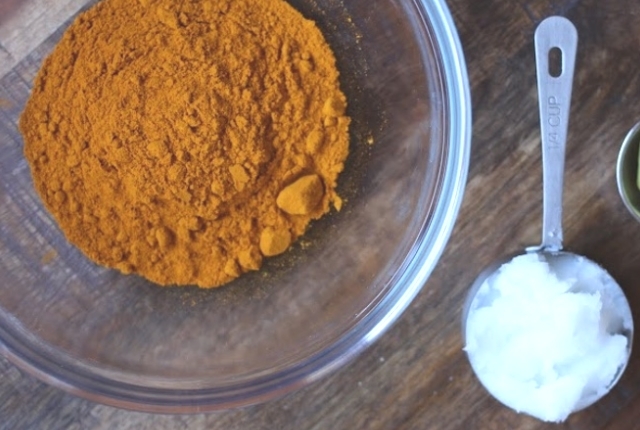 For making this mask, take chickpea flour, turmeric powder and essential oil. Mix all the things with very little water to make a smooth paste. Apply the paste on the skin. Do not use it on sensitive areas around the eyes. Wait for fifteen minutes. After that, wash the face with water. Turmeric used with flour and milk in the form of a face mask helps in getting rid of wrinkles. 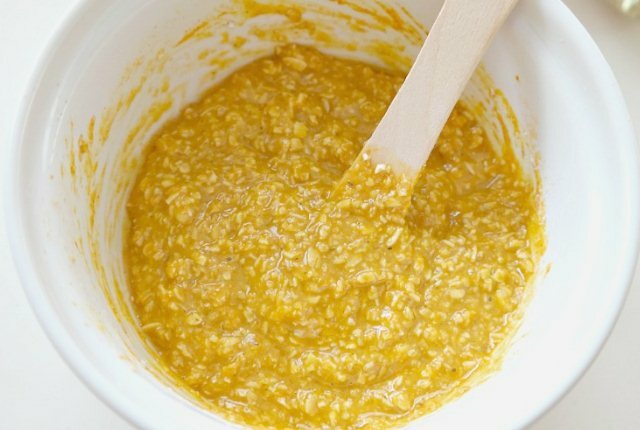 Make a face mask by mixing two tablespoons of rice flour or oatmeal powder with half amount of turmeric powder. To this, you should add milk and very little honey. Mix all the ingredients well. Apply the mask on the face. Leave it and wash the skin after twenty minutes. Scrub the skin while removing the mask. Apply moisturizer. 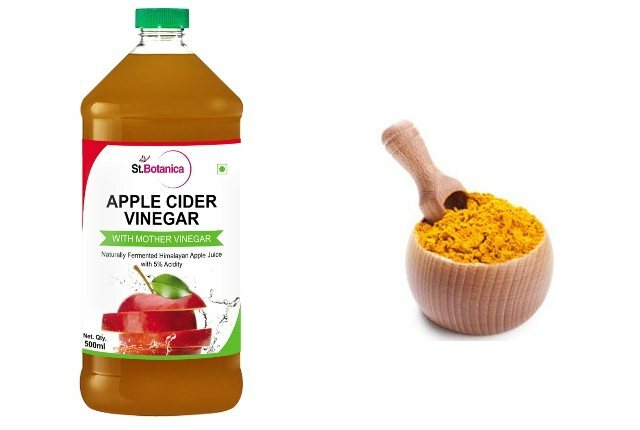 A face mask made with turmeric and apple cider vinegar heals skin problems and gives you bright and glowing skin free of wrinkles. To make the mask, mix turmeric powder with an equal amount of milk and apple cider vinegar. You can use yogurt instead of milk. Add a double amount of honey with the above ingredients. Mix essential oil with it. Clean the face by washing the skin. Apply the turmeric paste on the face. Do not use it around the eyes. Wash the face after fifteen minutes using lukewarm water. Use the mask two times in a week. 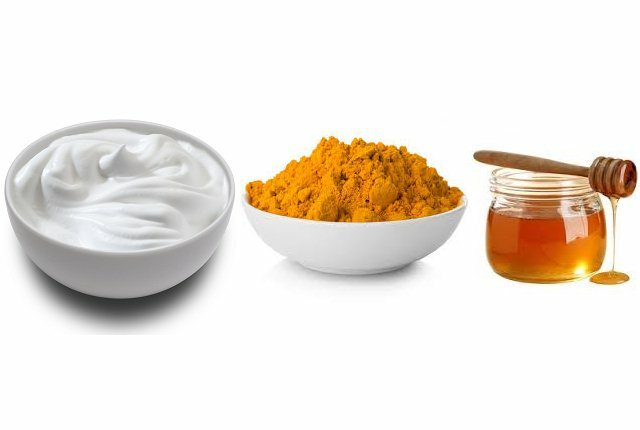 Turmeric used with honey, yogurt and coconut oil helps in fighting wrinkles. Make a face mask by mixing one teaspoon turmeric powder with an equal amount of honey and coconut oil. To this, you should add one tablespoon yogurt. Mix well. Clean the skin by washing the face. After that, apply the above mixture on the face. Wait for fifteen minutes and then wash the skin using lukewarm water. Do this every week once.